Chief Executive Officer and founder of VMS, LLC. 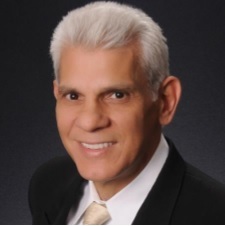 Vincent Scilla has over 30 years of experience in the financial services industry. His areas of expertise are pricing and profitability, organization-wide ROI assessment, strategic planning, merger & acquisition and due diligence planning, conversions and system integration. During his career he has been a leader in over 30 due diligence projects and 15 mergers & acquisitions including the Chase Mellon Shareowner Services merger, the BNY Mellon merger, and the acquisition of CST Trust Company and DF King. Vincent played a leadership role in the Demutualization and IPO of The Metlife Inc., the largest transaction in the securities transfer industry history with over 12 million policyholders becoming registered shareowners for a single issuer. Throughout his career, he has been the driving force to deliver large-scale, complex projects on schedule and within budget. He has been recognized as being a leader in times of crises. Under his leadership, VMS has built a world class team of financial services talent. Prior to founding VMS in 2002, Vincent was the Chief Information Officer (CIO) for ChaseMellon Shareowner Services for ten years. Vincent worked his entire career on Wall Street, starting as a bank reconciliation clerk, computer operator, master scheduler, systems programmer, computer programmer, project manager, Director and CIO. Vincent was a graduate of Carnegie Mellon University’s CIO Program and earned his Series 7 license during his career at ChaseMellon.